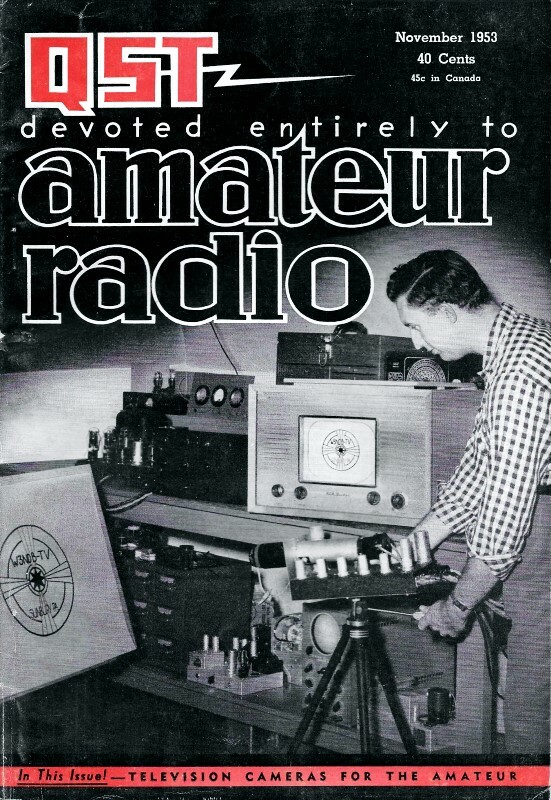 QST magazine occasionally used to run a feature titled "Quist Quiz" that was a short test of knowledge in the areas of antennas, impedance matching, amplifier biasing, etc. I'm not sure where the "Quist" part of the title comes from. A guess about it possibly being the last name of the author could not be confirmed or ruled out based on a quick Internet search. The only definition I could find for 'quist' is one meaning a wooden pigeon. If anyone knows the origin of "Quist," please let me know. The new 20-meter beam that A built will require a 200-foot feed line into the shack. Finding that the loss in 200 feet of RG-8/U coaxial cable would be 1.25 db. for the matched condition, A has been considering the use of an open-wire line. His friend B advises him against it, saying that although the theoretical loss in 200 feet of open-wire line would be only 0.15 db., the actual loss through radiation from the line would equal or exceed the loss in the coaxial line. Which feed line is better, and why? B is wrong about the radiation loss from open-wire line - it is an insignificant factor except when the line spacing s an appreciable fraction of the wavelength. Even the line unbalance introduced by running around corners or not maintaining symmetry with respect to ground does not result in any greatly increased radiation from the line. On a strict attenuation basis, therefore, the open-wire is better, and would show about 1 db. less loss than the coaxial line. For mechanical reasons, however, the coaxial line might be preferable. The entire feed line (open-wire or coaxial) may radiate if it is unsymmetrically coupled to an antenna and is of such a length that is becomes a part of the radiating system. Typical examples of this are the Zepp, center-fed antennas in which the feed line does not come away at right angles, and the off-center-fed-with-300-ohm-line antennas. My own approach is to point out that the transmissions line which introduces the least amount loss over a given length (200 feet) will dissipate less of the signal whether through heat, radiation, or a combination thereof. Hence, the 0.15 dB open line is the better choice that the 1.25 dB coaxial cable from that consideration alone.